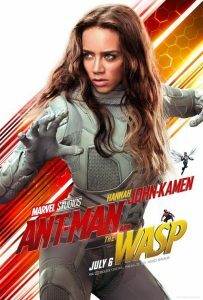 The Marvel Cinematic Universe is continually expanding with a sequel to the 2015 film Antman, entitled Antman and the Wasp, reprising the original cast along with some newcomers including Walton Goggins (Tomb raider) as Sonny Burch and Oscar nominee Michelle Pfeiffer (Dangerous Liaisons) as Janet van Dyne, long lost wife of Hank Pym played again by veteran Oscar winner Michael Douglas (Wall Street). 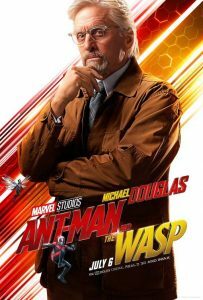 Director Peyton Reed returns at the helm with Paul Rudd as Scott Lang aka Antman and Evangeline Lilly as Hope van Dyne aka the Wasp and while most of the nifty action consisting of shrinking or growing strange objects from cars to Hello Kitty dispensers, at times the storyline would seem puerile, it’s nevertheless fun entertainment for the kids. 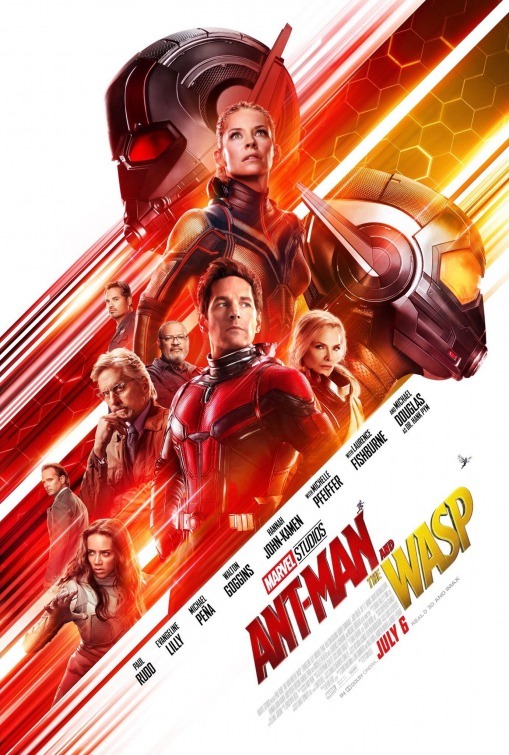 Antman and the Wasp’s main storyline consists of the three main characters trying to retrieve a portable laboratory so they can blast themselves into some mystifying quantum realm to retrieve the lost Janet played by Pfeiffer, the narrative is punctuated by some funny scenes provided by Michael Pena who purely shines as Antman’s friend Luis in this otherwise malleable superhero drama without many plot twists or a really definable villain. 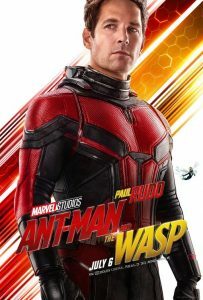 Of course, clearly aimed at the Marvel fans who have enjoyed the original Antman, Black Panther and The Avengers: Infinity War, Antman and the Wasp is a fun filled comic caper of seismic proportions held together by the witty charm of Paul Rudd as the reluctant supposedly housebound superhero who is desperately trying to be the coolest Dad in San Francisco. 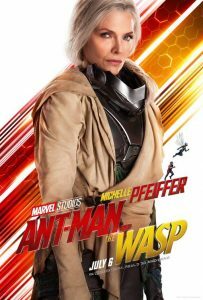 Personally, I would have liked to see more of the hugely talented Michelle Pfeiffer on screen, who appears to be making a major cinematic comeback, but Antman and The Wasp is worth seeing for its radically disproportionate special effects and a particularly clever car chase sequence along the hilly streets of downtown San Francisco. Take the kids, they will love it! 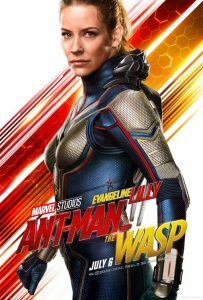 With malleable dimensions, Antman and The Wasp gets a film rating of 7.5 out of 10 and is recommended viewing for those that enjoyed the original film. Oscar nominee Kenneth Branagh (My Week with Marilyn) both stars as the infamous Belgian detective Hercule Poirot and directs another remake of the classic Agatha Christie novel Murder on the Orient Express featuring a stunning cast including Oscar nominees Michelle Pfeiffer (Dangerous Liaisons, The Fabulous Baker Boys), Johnny Depp (Sweeney Todd, the Demon Barber of Fleet Street) and Oscar winners Penelope Cruz (Vicky Cristina Barcelona) and Judi Dench (Shakespeare in Love). 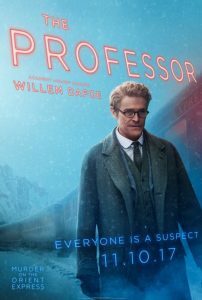 Sporting a profoundly massive mustache, Branagh takes Hercule Poirot to new extremes in this 21st century remake which is glossy and possesses sumptuous production design but like all extremely long train journeys is boring in the middle, despite the spectacular scenery. 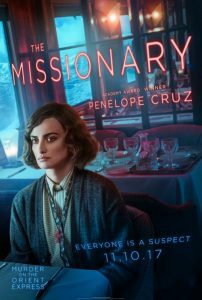 Murder on the Orient Express is set in 1934 and starts off promisingly with a fantastic opening, attention grabbing scene at the Wailing Wall in Jerusalem and then moves on to the Orient Express, a luxury train service which travels from the chaotic train station in Istanbul right across Europe to Paris. 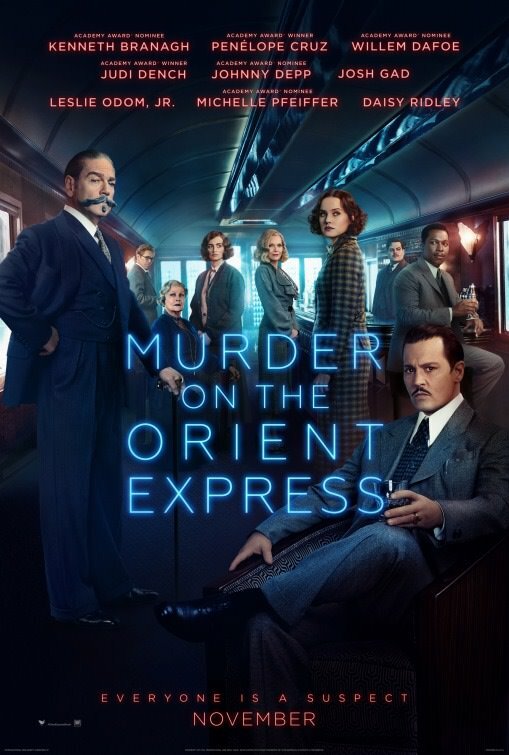 As the gangster Edward Ratchett is found murdered in his compartment, stabbed multiple times everybody becomes a suspect on the Orient Express and soon Poirot has to interview all the cast as the train is stuck in an icy tunnel somewhere over Yugoslavia. A tangle of strangers confined to a luxury train which has gone off the rails. 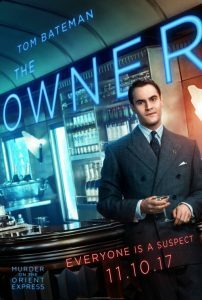 Everybody is not what they seems, which is natural considering this is an Agatha Christie novel and while the cast does an admirable job, it is really Michelle Pfeiffer who wows audiences with her demure yet slightly vicious portrayal of globetrotting husband seeker Caroline Hubbard who stands out among a fairly impressive ensemble cast. Pfeiffer really acts. 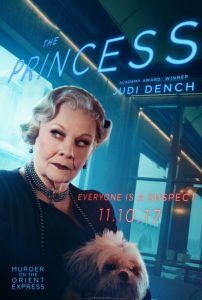 Dame Judi Dench’s turn as Princess Dragomiroff is hardly noticeable, while the best scenes in the film are between Pfeiffer and Branagh. 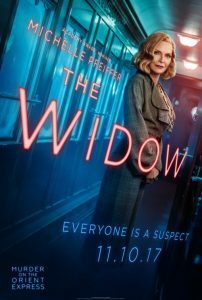 It is refreshing to see Michelle Pfeiffer making such a glorious big screen come back as she truly is a brilliant actress, not to mention singer – for she also sang the film’s original song at the end. Without revealing who the killer is, needless to say Kenneth Branagh will be returning with another big screen adaptation of an Agatha Christie novel, Death on the Nile. Should be fascinating if only he would curb that mustache. 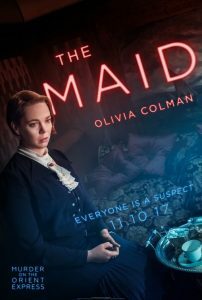 Audiences that enjoyed the original seventies film adaptations of the Agatha Christie novels, will enjoy this ambitious if slightly flawed remake. Think Evil Under the Sun. 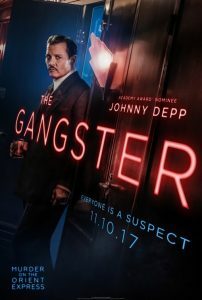 Recommended viewing but whether the film will dazzle at the box-office in an increasingly cluttered 21st century CGI film line-up remains to be seen. Murder on the Orient Express gets a film rating of 7 out of 10.